Few of my elderly clients say life gets easier as they age. But age moves on and with an aging population, claims of elder abuse are on the rise. In 1965, Congress began to investigate the extent of elder abuse and financial exploitation under the Federal Older Americans Act. Later the law required each State to create an Ombudsman program to investigate and prevent elder abuse neglect and exploitation. Today, many believe that Elder Abuse is still under-reported and under prosecuted. Often elders are frail and dependent on their abusers for basic care and are reluctant to complain, because they don’t know how they will survive outside of their dependent condition. They suffer in silent anxiety. They may be isolated, feel fear and shame. Many are mentally incapacitated and because of their condition are not able to articulate pain, hunger, thirst, neglect, and abandonment. It’s so sad. Regardless, it is clear that the problem is widespread and protection is needed! 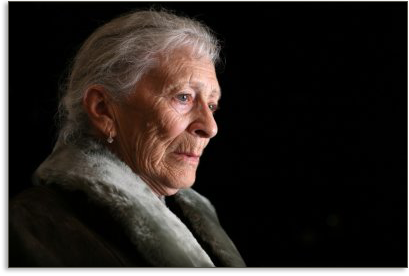 I’ve this Elder Abuse page to provide interested persons with information and resources to (1) identify elder abuse (2) set forth the laws in New Jersey that address Elder Abuse and (3) provide guidance on what can be done legally to protect an abused person. Read through the pages I’ve written and watch the informative videos I’ve prepared with you in mind. I’m confident you’ll find the time spent here well worth it. When you’re finished, if you feel I can be of assistance, just call me or reach out to me by email. When I refer to Elder Abuse I’m including both physical as well as financial abuse and exploitation. Domestic elder abuse which is the abuse of an elderly person by someone who has a special relationship with the person ( a spouse, sibling, child, friend, caregiver or fiduciary relationship, i.e. Power of Attorney or Guardian), that occurs in the elder’s home, or in the home of a caregiver. Institutional elder abuse generally refers to abuse that occurs in residential facilities for older persons (e.g., nursing homes, assisted living residences, residential healthcare facilities, or rooming board and care facilities). Self –neglect or self-abuse is characterized as the behavior of an elderly person that threatens his/her own health or safety. Self-neglect is generally found as a refusal or failure to carry out one or more activities of daily living (commonly referred to as ADL’s), bathing or showering, dressing, getting in or out of bed or a chair, using the toilet, eating, taking medication (when indicated), and observing safety precautions. Self-Abuse in the intentional or unintentional harm the elderly person inflicts upon himself or herself whether voluntary or unknowing. Self-Abuse is often found among our most disturbed elderly family members, neighbors and acquaintances. Physical abuse which is the use of physical force that may result in bodily injury, physical pain, or impairment. Physical abuse may include but is not limited to such acts of violence as striking (with or without an object), hitting, beating, pushing, shoving, shackling, slapping, kicking, pinching, spitting at, and burning. In addition, inappropriate use of chemical (drug) and physical restraints, force- feeding, and physical punishment of any kind also are examples of physical abuse. Physical abuse may also include forcing treatment upon an elder who has the capacity to make voluntary healthcare decisions, after the elder has made a voluntary and informed choice regarding such treatment, and providing treatment that is not medically indicated. Verbal, emotional or psychological abuse which is is the infliction of mental anguish, pain, or distress through verbal and/or nonverbal actions and communications. It includes, but is not limited to, verbal assaults, insults, threats, intimidation, humiliation, and harassment. In addition, treating an elder like an infant; isolating an elder from his/her family, friends, or regular activities; giving the elder the “silent treatment;” and enforced social isolation are examples of emotional/psychological abuse. Gross Neglect is a frequent form of abuse, and is a term that describes the willful absence and/or withholding of essential services and support which is necessary to maintain a person’s known welfare, health and safety. Gross neglect may also include the failure of a person who has a fiduciary responsibility to provide care for an elder (e.g., pay for necessary care). Gross neglect typically means a refusal or failure to provide an elderly person with life necessities such as food, water, clothing, shelter, personal hygiene, medicine, comfort, personal safety, and other essentials. Abandonment is the desertion of an elderly person by an individual who has assumed responsibility for providing care for the elderly person, or by a person with physical custody of the elder. This abandonment is generally by a person in an essential life care relationship with the aging person, i.e. a spouse, caregiver, child, or person in a fiduciary relationship. Have questions or a case involving suspected or actual elder abuse & financial exploitation in New Jersey? I am writing this email to express my gratitude for the moral support you have given me at the time I needed the most. By the time I reached the court house all my nervousness had gone and I was very comfortable. Thank you for the long ride. I want to take this opportunity to thank everybody in your office who have been very kind and supportive. Not worried about the outcome of the case, I thank GOD for placing me in the hands of a team of respectful excellent professionals who truly care. Thank you. Early Dementia, Alzheimer’s. My Mom’s health deteriorated to the point she required full-time care. She wanted to live at home, but required regular help with the essentials of daily living (i.e. dressing, bathing, etc.). As her caregiver daughter, the responsibilities fell on me to figure out what to do. Thank goodness for Fredrick Niemann and Mr. Niemann. He met with me and explained all of my options for my mom, from at home/community care, assisted living, state, county and local programs for the elderly, financial eligibility for benefits, Medicaid qualification, pharmaceutical assistance, utility aid, Medicare and Veteran’s benefits, etc. While I felt overwhelmed by it all, Mr. Niemann clearly was in control of what could be done for Mom. We engaged him to make applications for subsidized at-home care and assistance through available grant programs and as part of his services to us, he is counseling us on a reverse mortgage, income and financial products to enhance Mom’s monthly income and to reduce her expenses. Mom would tell me to let Mr. Niemann make all the decisions although I am her Power of Attorney. I value so much his confident and generally caring manner. If you’re trying to help your Mom, Dad or family member deal with a life changing health condition, call Fredrick Niemann. I’m glad I did and so is Mom.